Isro Chairman AS Kiran Kumar said during an eclipse the battery in Mars Orbiter has to support its operation and if the eclipse duration is “very long” then the battery may not be able to support it. 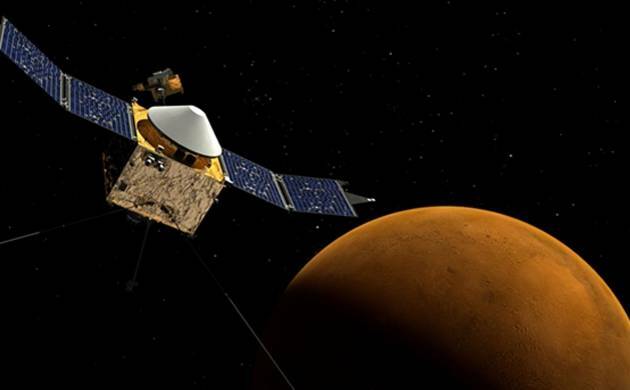 Indian Space Research Organisation is planning to perform a key manoeuvre on Mars Orbiter next year to reduce the impact of “eclipse duration” to allow the spacecraft “survive” for more time. The space mission completed two years on Saturday. ISRO Chairman AS Kiran Kumar said that the original mission life of Mars Orbiter Mission was slated to be six months, and that the space agency had released a lot of first year data beamed by its five payloads. “Our next major event in the Mars Orbiter will be sometime in the beginning of next year when we will be doing a manoeuvre to reduce the impact of the eclipse duration the satellite is going to encounter,” he told reporters. He said during an eclipse the battery in Mars Orbiter has to support its operation and if the eclipse duration is “very long” then the battery may not be able to support it. “So we intend to do a manoeuvre of the spacecraft so that the impact of eclipse duration will reduce and with that we will be able to survive for many more years because the satellite still has large (amount of) fuel left in it,” he added.